The culture of seaside meze is not a new one in Volos. In fact it goes way back when ship workers and other staff used to take small breaks during lunch when small food establishments -tsipouradika-, offering basic treats, opened near Volos’ harbor. Nowadays, it’s part of everyday life. And Jimmys in Agria is one of the top around! 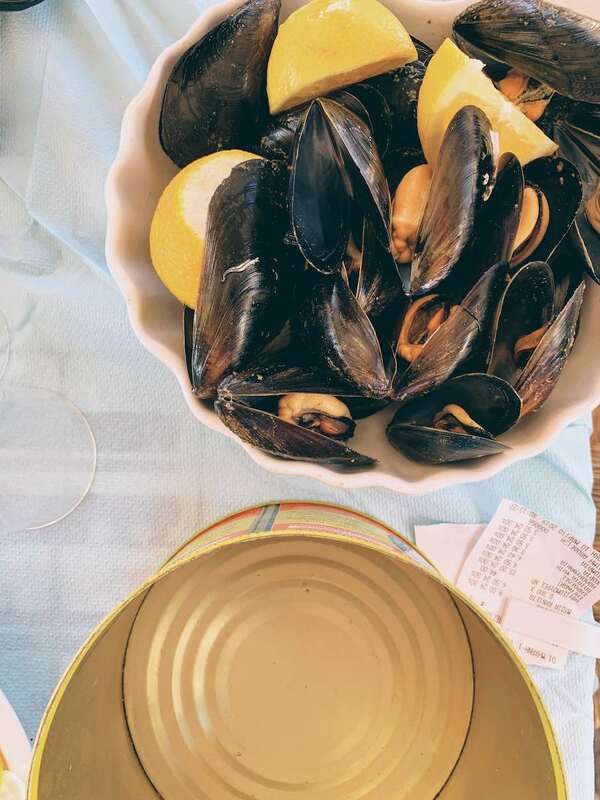 Food is indeed good but the real reason for visiting Agria is the seaside vibe. You can’t get this anywhere else in Volos. And a short drive from Volos city centre is always pleasant when it’s right next to the water along the peaceful coastline. One of the first ever tavernas to launch here, Jimmys has been offering delicious seafood treats for a few decades now. In classic Volos fashion you may as well not order anything and let it up to the boss to decide what to bring. As long as you order some good ol’ tsipouro, you should be fine. For those wishing to feast on some of their specialties, we definitely recommend the golden fried courgettes, the tenderly-steamed mussels and the grilled sardines. If you want o go more heavy on the fish, try their red mullets- perfectly fried and very tasty indeed!